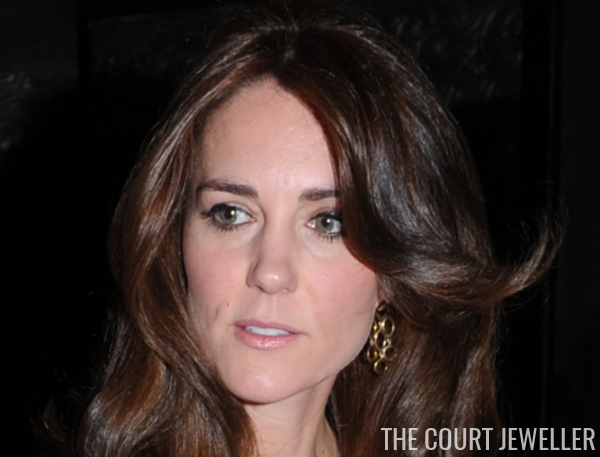 Kate wore her hair covering her ears, so the earrings are obscured in most of the photographs, but we still got a glimpse here and there. And here's a better look at the full gown. The print is a nifty homage to the host country; the blue poppy is Bhutan's national flower.